Wine regions around the world are often associated with the characteristic varieties of grapes that grow in those regions. For example, Australia has Shiraz, Burgundy has Pinot Noir, and Spain has Tempranillo. Undoubtedly the national grape of Portugal is Touriga Nacional. The dry red wines of the Duoro Valley express the characteristic rich robust spicy black fruits with hints of violets because of this grape. 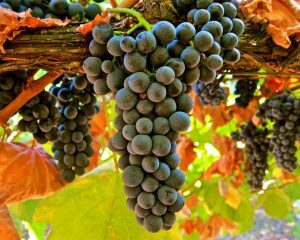 It is also one of the main grapes used to produce the famous port wines of the region. The grape has migrated throughout the world and is now being grown in many new world regions. Please join us as we explore the many flavors of Tourgia Nacional in all its glory.